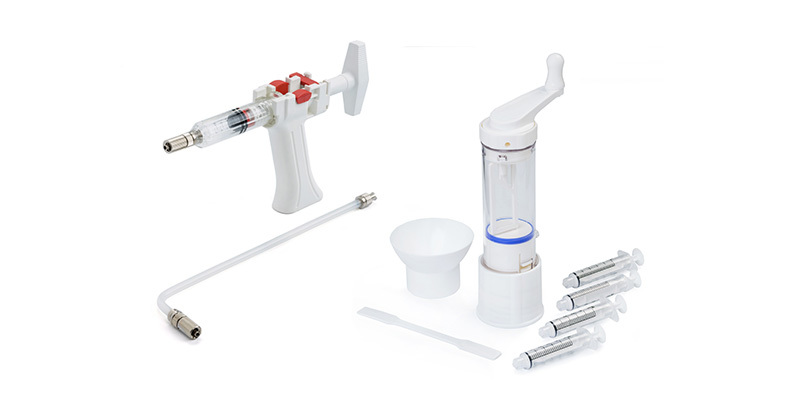 High pressure system dedicated to the injection of radiopaque bone cement; the large winged screw allows a perfect handling and a complete control during the injection when applying pressure. V-HP Gun™ gives the surgeon a larger working window to perform the procedure; the light weight allows an easy control during the whole procedure. 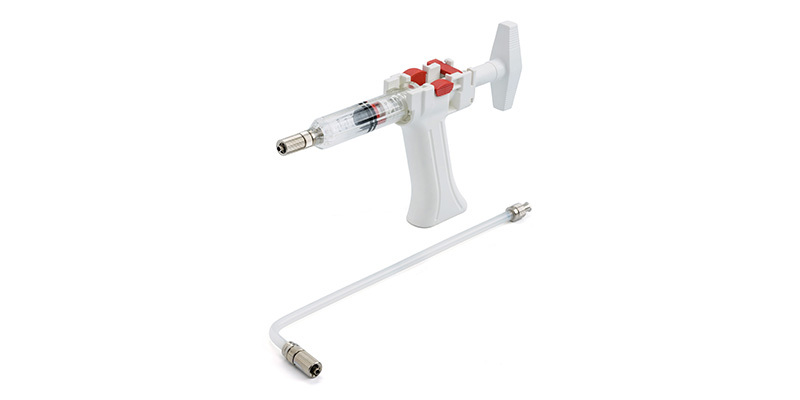 The high volume syringe, completely separated from the handle, allows an easy aspiration of cement until 15 c3. Thanks to the ON-OFF buttons it is possible to interrupt the flowing of cement with immediate decrease of the pressure. 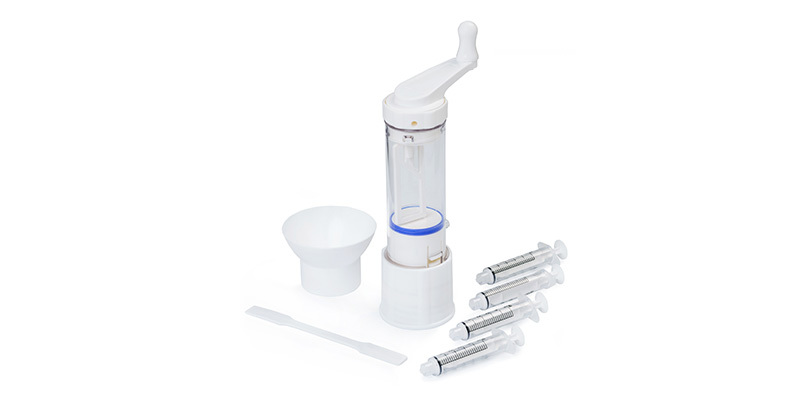 PicoMix™ V composed by a PicoMix™ closed mixing system, a funnel, a spatula and 4 syringes (with rigid plunger) for cement injection. 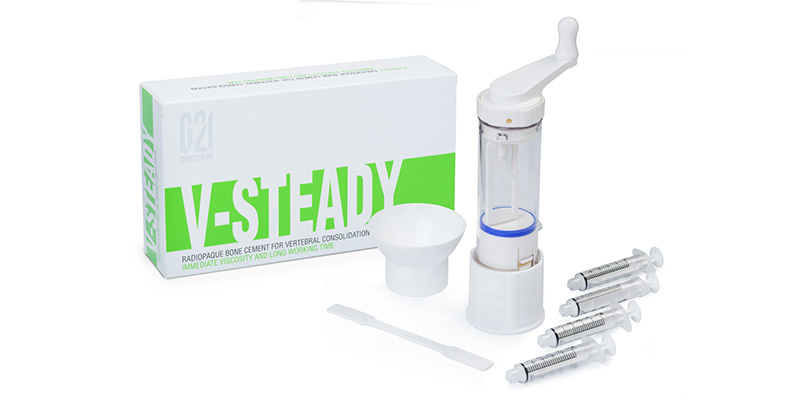 It allows the preparation up to 40 g of PMMA bone cement that can safely and easily transferred into the syringes thanks to the Luer-lock connection. PicoMix™ V is latex free. V-Mix™ comprises the PicoMix™ V and bone cement for vertebral consolidation. 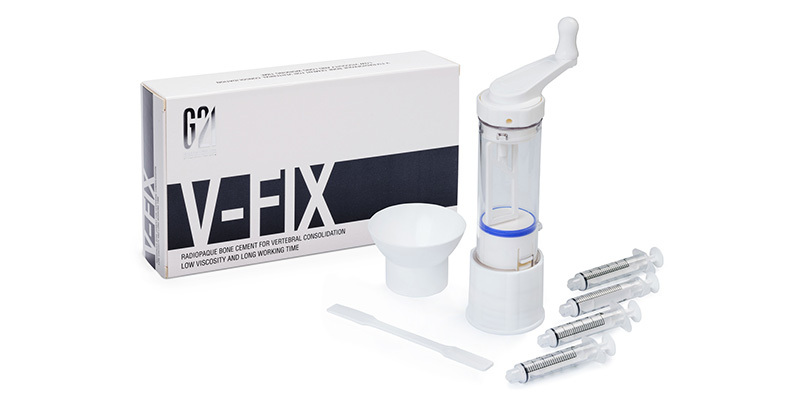 It allows the preparation of the PMMA bone cement that can safely and easily transferred into the syringes thanks to the Luer-lock connection. 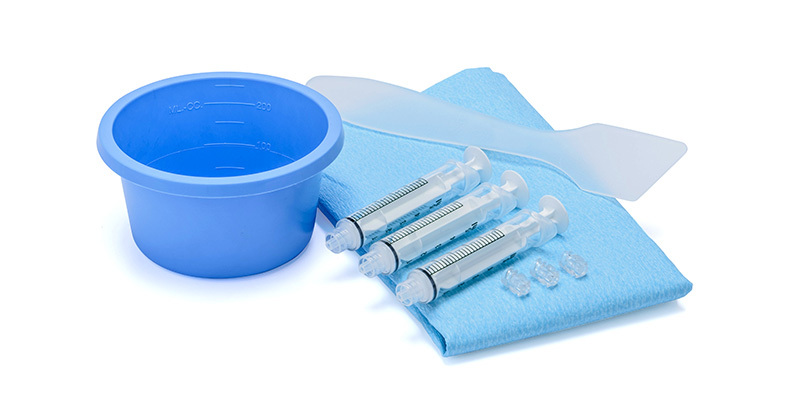 Latex free disposable plastic bowl supplied sterile packed with a spatula for mixing, a surgical drape and 3 syringes (3 ml) with ergonomic handles and aspiration tips.